Today's Sunday, and it's time for the bookshelfie blog post and today we have Alex from The Book's Buzz blog, who happens to be a very talented and extraordinary blogger. Do check out her quirky and cute blog which features book reviews to giveaways to discussions to some to-do tips etc. 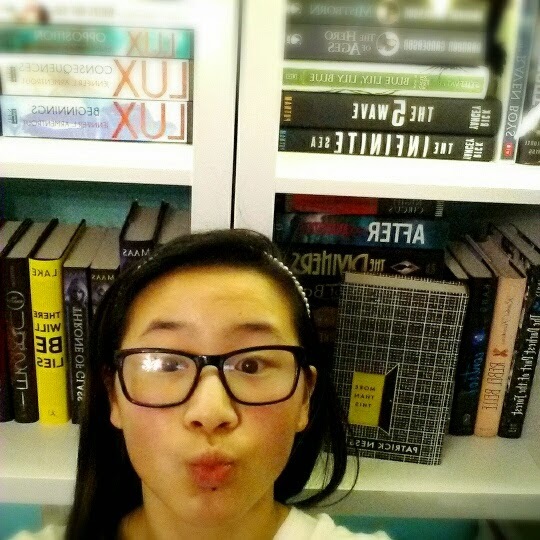 It's a selfie with your incredibly huge or messy or either organized bookshelf.And on every Sunday, I'd feature one blogger with her Bookshelfie. How will I choose fellow bloggers? Of course, it's for those bloggers whom I follow or have subscribed to their posts. 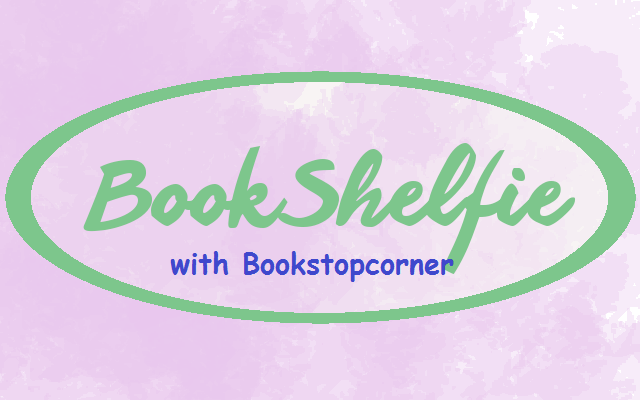 Well, I'm not that mean, I was just kidding, please guys, leave a comment below this blog post, I'll send you the necessary questions to answer, and would ask you to email me your bookshelfies. So let's start sharing and shelfieing! Alex and she is a book blogger for The Book's Buzz! She says she is a crazy person when it comes to the Throne of Glass series by Sarah J. Maas, and she likes munching on chocolate-covered blueberries from Brookside (she thinks they're the best). She absolutely hates funny romantic comedies because they're kind of cheesy, but hate might be too strong of a word. Alex says: "I'm so messy when it comes to organizing my bookshelf, but would you believe me if I told you it took me a year to set up the plan and construct the bookshelf? I knew I wanted it to be mounted on a wall and that was born! I love decorations and just things that will spice up my shelves so people will be drawn to them once they come into my room. I have two bookshelves mainly because I like to keep my genres separated: Dystopian/Science Fiction/ Fantasy from Contemporary and Romance! I tend to leave junk on my bookshelves anyway because of the bookmarks and Barnes and Noble receipts I get. " 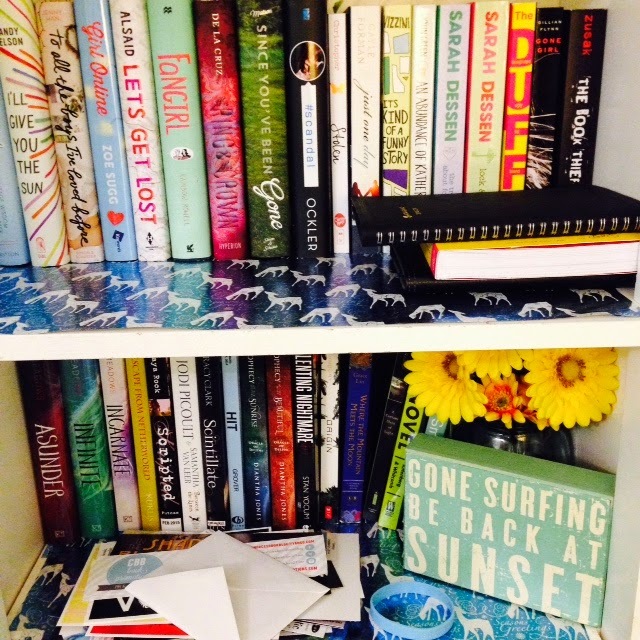 How organized is your bookshelf? 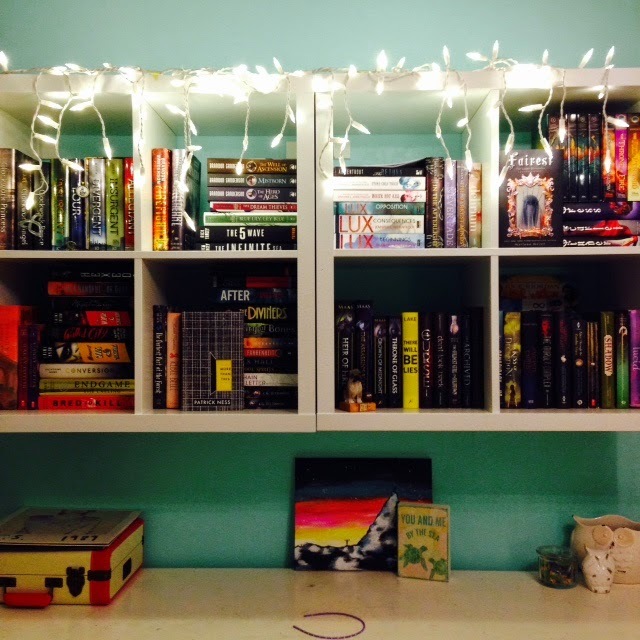 Comment below to tag yourself if you want to be featured in The Bookshelfie. That's all for today, have a great Sunday. LOL I look like a pufferfish :O Thanks for featuring me though!